As some of you know, I am an Assistant Service Manager at Auto Nation Ford of Ft Lauderdale. Some have brought there cars in for various things. We are Mod friendly. Within Reason. LOL. 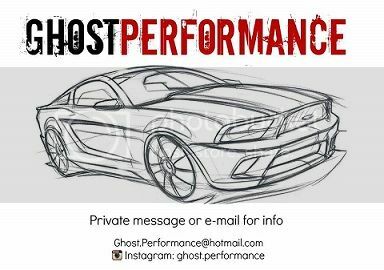 We are also an Authorized Ford Performance Parts Installed as well as an Authorized Roush Installer. Let me know how I can help you out! Anytime. Working with Corporate to roll out a New facebook page also! Sounds good. Glad to hear you guys are mod friendly. I took my car into Sawgrass Ford for an issue with the rear end whining to high hell and they tried to say that my Eibach pro kit was causing it.... Needless to say I took it to another dealer that resolved the problem. Turns out there was a manufacturer defect with the housing itself. It was machined incorrectly at an angle causing the ring gear to be out of alignment. Needed a new housing and gears. Good to know! Thanks for posting!!!! Don't forget about our Dealership when it comes to Certified work.